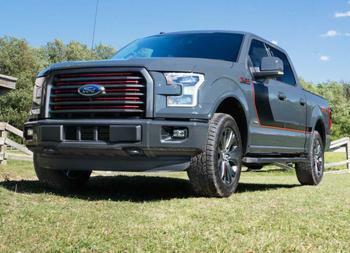 Ford Motor Company is recalling 874,000 model year 2015-2019 F-150s and model year 2017-19 Super Duty vehicles equipped with engine block heaters that had been inspected in an earlier recall. In previously inspected vehicles, the engine block heater cable splice connectors may have inadvertently become damaged during that service procedure. A damaged block heater cable can cause an inoperative engine block heater and/or tripping of household breakers or GFCI-equipped outlets or a resistive short, which can increase the risk of overheated or melted wiring and fire while the vehicle is parked and the block heater is plugged in. A safety risk only exists while the vehicle is parked and the block heater cable is plugged into an electrical outlet. The affected vehicles include approximately 327,000 vehicles in North America, with approximately 131,068 in the U.S., and federalized territories and approximately 196,269 in Canada. Customers are advised to not use the engine block heater cable. Dealers will disable the vehicle’s engine block heater cable by cutting off the plug end prongs and sealing the end cap with silicone sealant. Customers will be notified when an engine block replacement cable is available. The Ford reference number for this recall is 19S11.